After arriving at the Vancouver airport，tour guide will greet you at receiption area. You may go on a free Vancouver City Tour if you arrive your hotel before 2:00pm. The attractions include Stanley Park、Chinatown、Gastown、Canada Place. Heading east from Vancouver，pass through the farm communities" Fraser Valley" to Hope for short stop. En-route to Revelstoke, we will take a short stop at Lake Okanagan and see if you can spot the mystery lake creature，Ogopogo. Visiting a winery，In a cozy cellar-like tasting room, you will be able to experience the variety of VQA wines. Next we will visit the “Last Spike” monument that tells the story of the coast to coast railroad assembling in 1885，and then we will arrive at Revelstoke to rest for the night. The first stop of the day is the Yoho National Park.Short stop at『Emerald Lake』, is one of the most admired destinations in Yoho National Park, with an unmatched diversity of activities and landscapes suited to the enthusiastic traveler. Visiting『Lake Louise』.Scrolling along Lake Louise to experience an up-close view to this strikingly beautiful lake. After luxurious lunch at Chateau Lake Louise Hotel, the excursion takes you along Tunnel Mountain Drive for views of Banff、『Cascade Mountain』、『Mount Rundle』 and 『Bow Falls』, The 1953 Marilyn Monroe film River of No Return featured the falls; The 『Surprise Corner』, absolutely is incredible view of the Banff Springs Hotel, nickname of 『The Castle in The Rockies』. You have a great photo opportunity from this vantage point. Tonight，we will check in at the Fairmont Chateau Lake Louis Hotel. You will have a laid-back morning peering into turquoise Lake Louise. You will be amazed by the color. 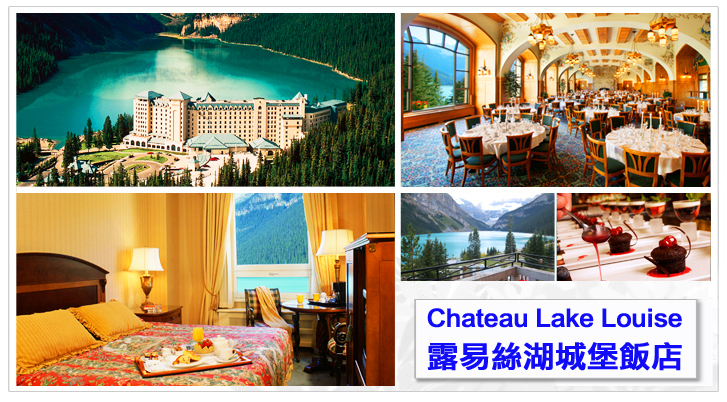 The renowned Chateau Lake Louise Hotel sits at the brim of the eponymous lake. 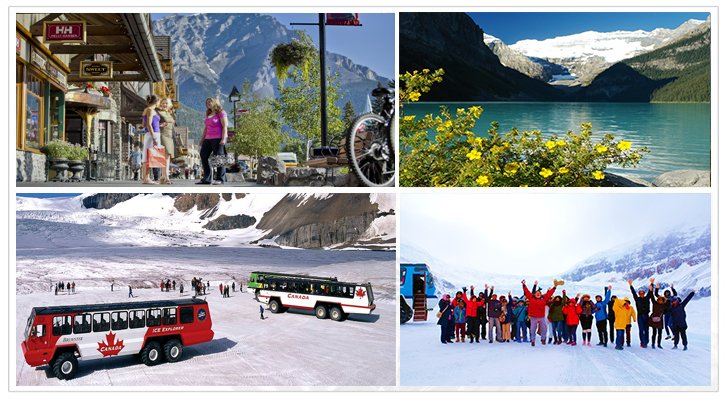 Today, we will travel along the Icefield Parkway to the amazing 『Columbia Icefield』，where we will take the all-terrain Snowcoach to actually step on the glacier for an once-in-a-lifetime memory. 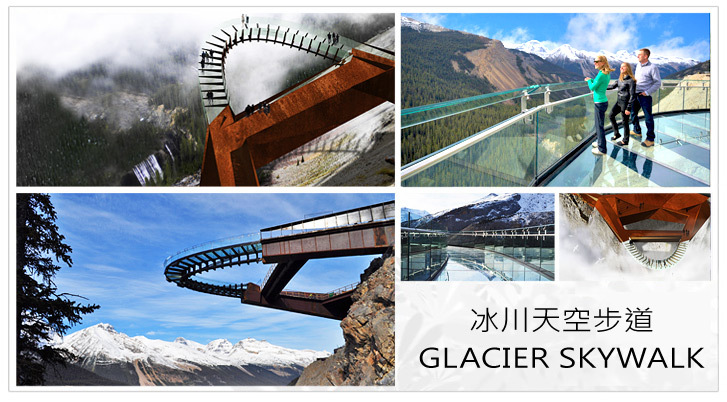 Then the journey will take you to the hair-raising、thrilling "Glacier Skywalk".In the afternoon, If the time permits, we will have a chance to visit Peyto Lake，Bow Valley，Bow Lake，and the Crowfoot Glacier. Finally，we will rest for the night at Revelstoke. On this last day of the trip， we will visit one of the major ginseng farm of northern America in Kamloops. We will arrive back to Vancouver in the late afternoon. Today you will be transferred by hotel shuttle bus to the airport for flight back to sweet home.